The German chancellor is expected to present her position on the issue. 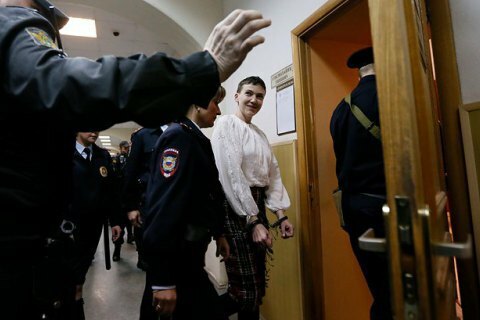 Ukrainian politicians have been doing their best to have pilot and MP Nadiya Savchenko released from Russian custody, Fatherland MP Olena Kondratyuk has said during an expert survey by Gorshenin Institute. "We sent official letters to all leaders of the world to demand that they publicly support Nadiya. Hillary Clinton and (High Representative of the European Union for Foreign Affairs and Security Policy) Federica Mogherini have already made public statements. We are waiting for the German chancellor to speak out," she said. She said that the so-called "Savchenko list" formed on the initiative of a group of Ukrainian MPs is different from the Magnitsky list because the former lists Russian President Vladimir Putin as No 1. "And this means that it will be very difficult for Europe to have it adopted unanimously," she said. European Parliament member Petras Auštrevičius said it was a "moral obligation" of the EU to defend Savchenko and secure her release.